The day after the Musikmesse Frankfurt (trade fair for the music industry) where my significant other had been among the exhibitors, I traveled there to meet and collect him, so I took the chance to visit this old imperial city on the River Main, with its huge buildings in the banking quarter it looks quite americano… hence people nickname the city „Mainhattan“. 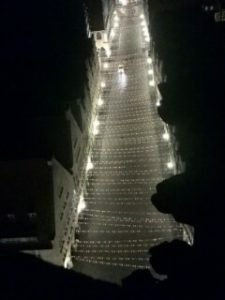 Whenever I visit a place with towers or the like I feel the urge to climb up all the stairs and experience the world from the bird’s-eye view. 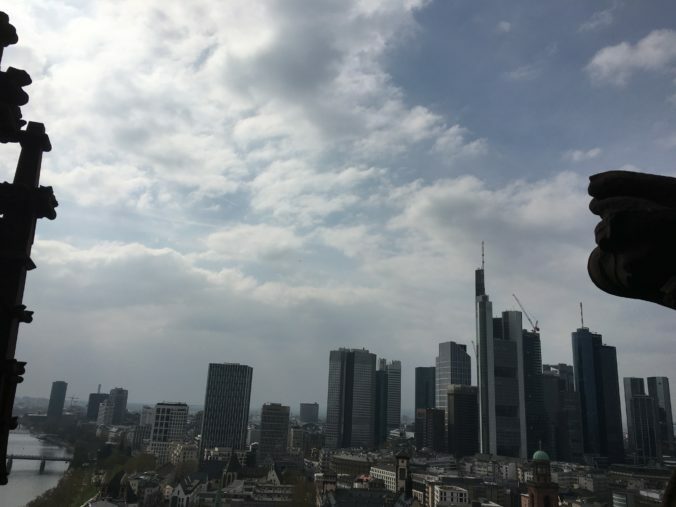 Here in Frankfurt, the first opportunity to do so is the famous Maintower. 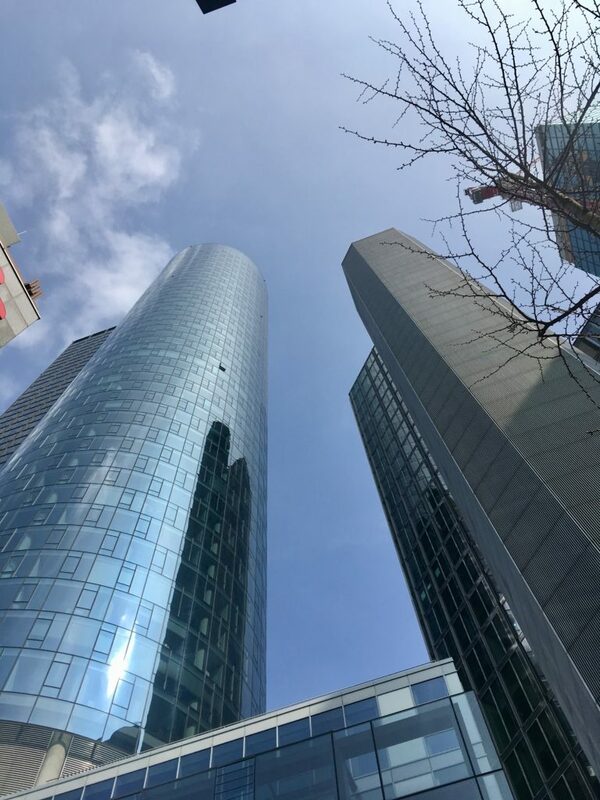 The Maintower houses the bank Helaba (Landesbank Hessen-Thüringen) and is the only business tower open to the public. 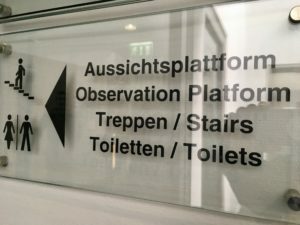 The hr (Hessischer Rundfunk) with its television broadcast studio is on the 53rd level. 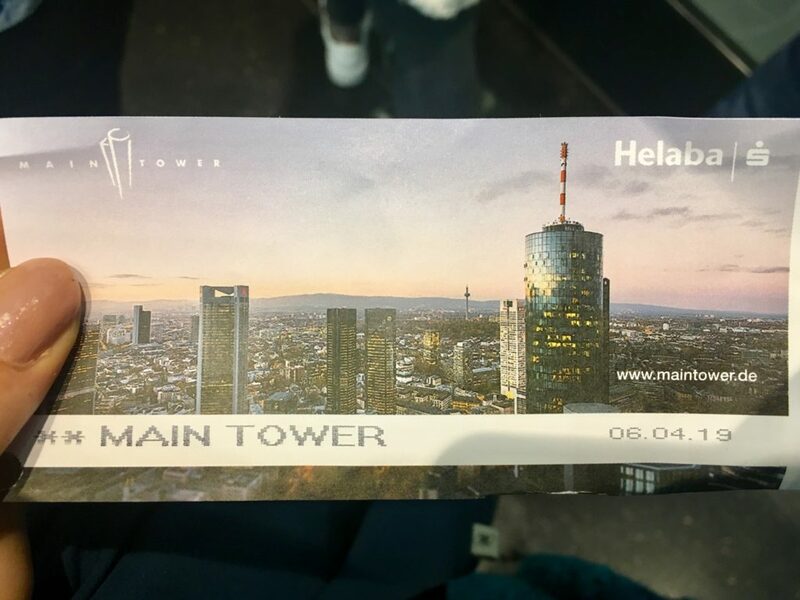 Here’s a link to the pdf-brochure with all the facts about the Maintower (in English): click! 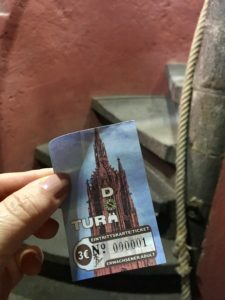 We entered the building, purchased our tickets and waited for the elevator with many other excited visitors… unfortunately it is not possible – not even for the towerkeeper of Muenster – to walk the 1.090 (!) steps to the top of the building (with 200 m the 4th highest skyscraper in Frankfurt). 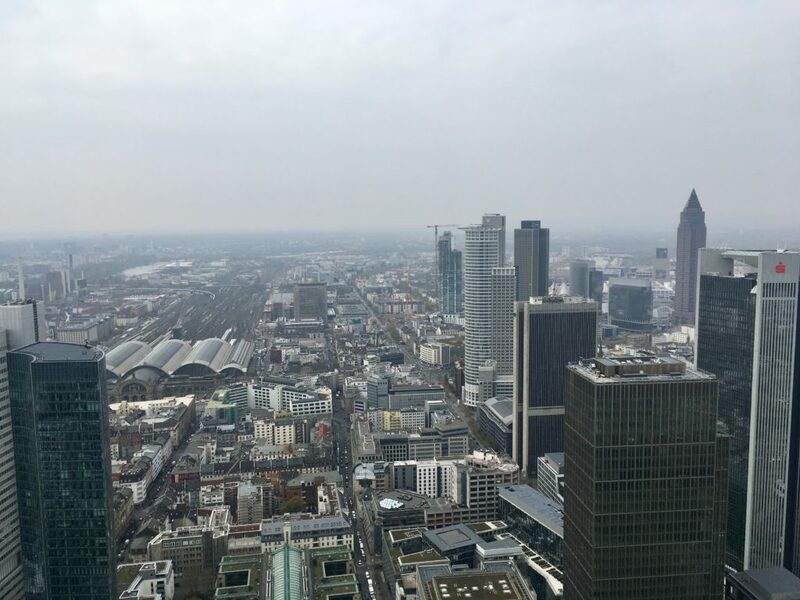 The elevator takes 45 seconds to the top and then… and then there is that VIEW!!! 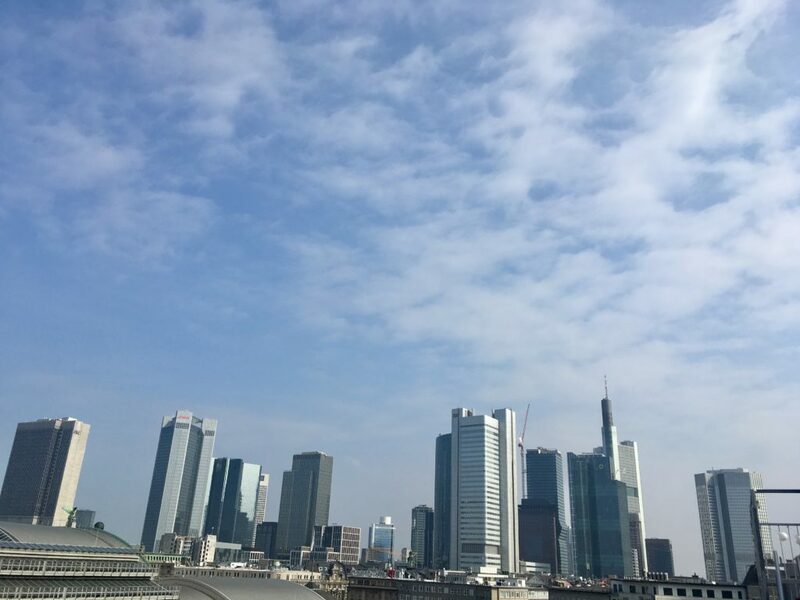 I was born in Frankfurt am Main on 28th August 1749, just as the clock struck noon. 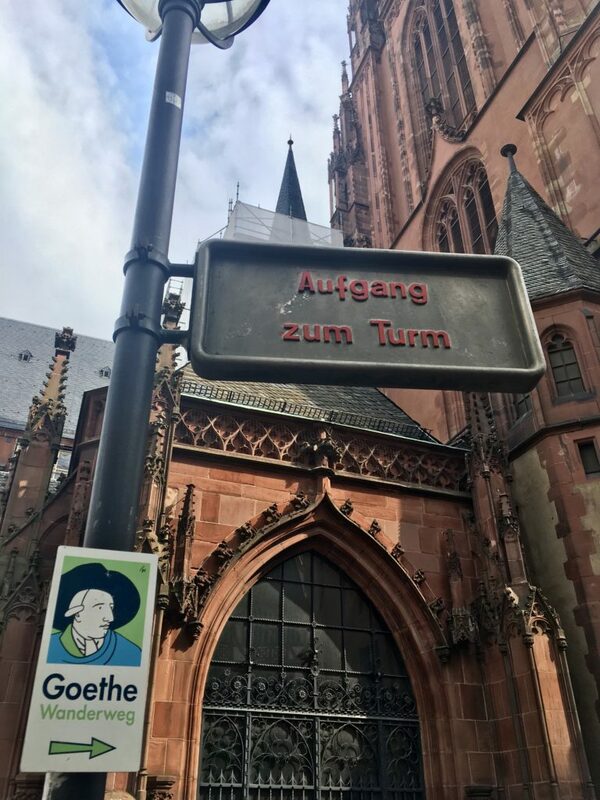 We are now at the foot of the huge Cathedral of Frankfurt (Kaiserdom St. Bartholomäus) and ready to walk 328 stairs (!) – a spiral staircase just like in „my“ church. There is a a rope in addition to a handrail for people to stand safe on their way up whenever there’s some oncoming traffic (it’s getting more and more narrow as we reach the top). With some other people going downstairs it was really hard work to climb all those 328 stairs even if I am really used to surviving narrow spiral staircases (I do it every night except on tuesdays – but without the two-way traffic!). 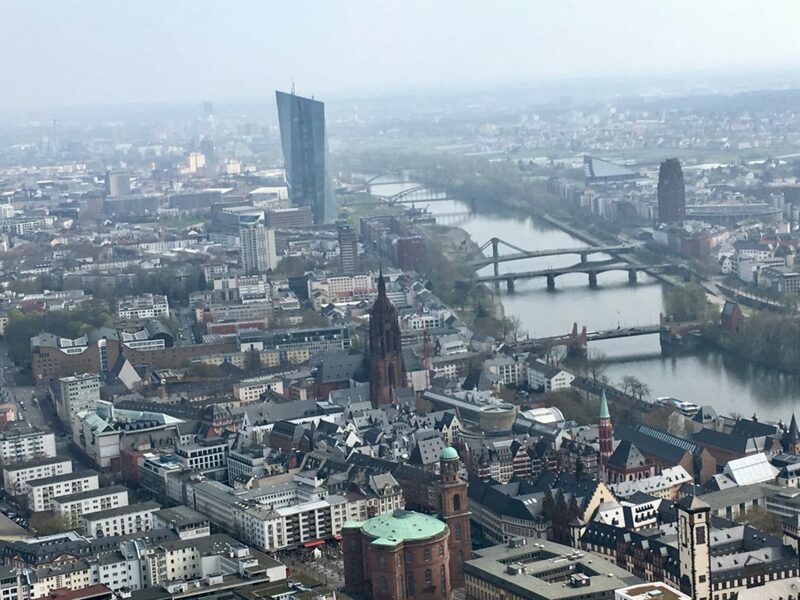 View from the Cathedral: you see the St. Paul’s Church, the Town Hall (Roemer), the bank quarter skyscrapers – can you spot the Maintower? 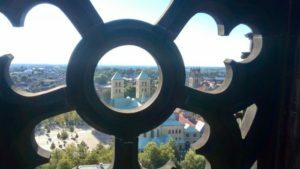 On some occasions there are guided tours on the Cathedral Tower, too, and if you are with a group of 10 to 25 people, a guide will take you to see the belfry and even the historic room of the last towerkeeper Johannes Rüb and his wife Elise, who actually lived on the tower (until 1942). 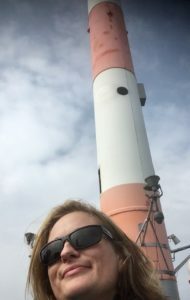 These locations are usually not open to the public, only for guided tours. 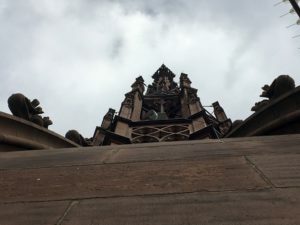 Cathedral Tower (Kaiserdom) – Look up: oooops, there’s a camera! Who’s watching me? 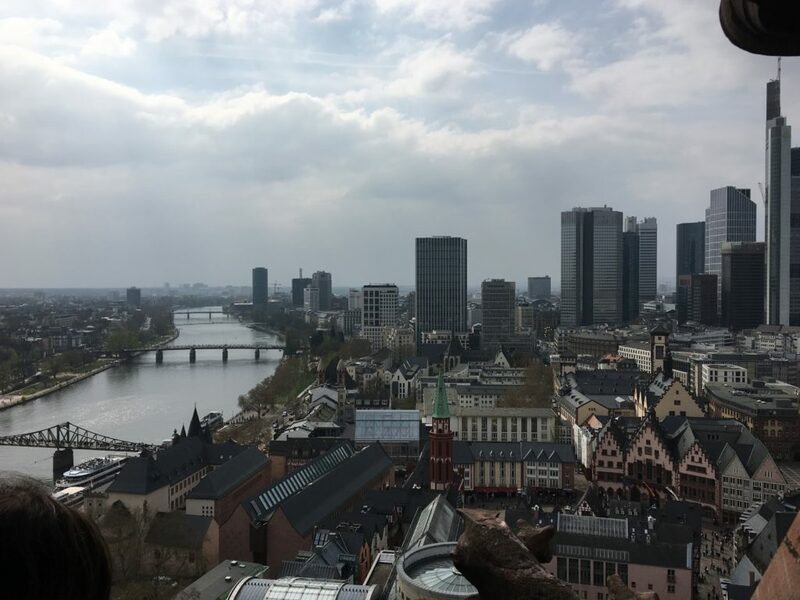 More about the Cathedral tower of Frankfurt – please follow this link: click! 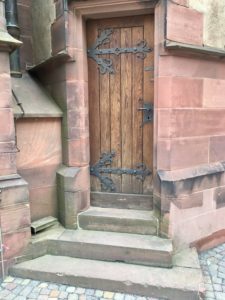 And when I did some research on towerkeepers in former times in the city of Frankfurt/Main, I found records about even more towerkeepers – all working for the city’s safety as fire guard: They were installed on Eschenheimer Tower (part of the city walls, today a restaurant and bar, click for the history and some photos here – this homepage is in German! 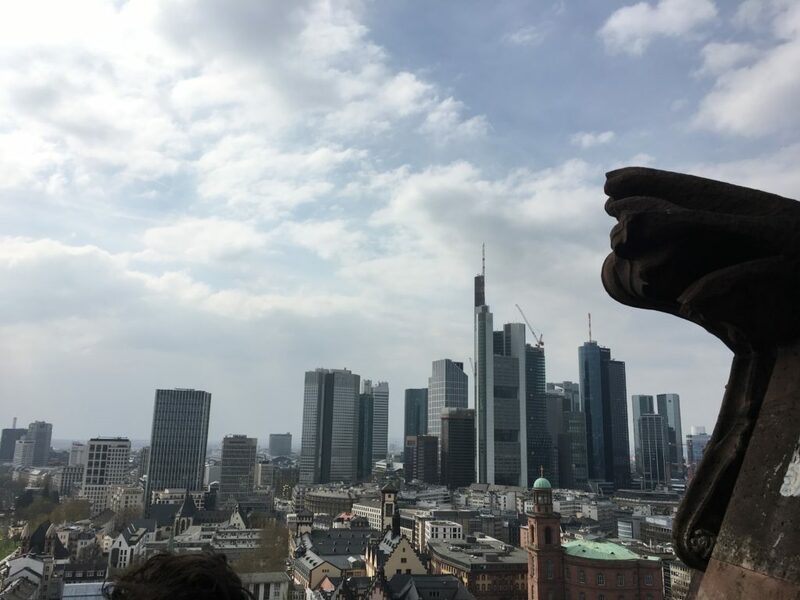 ), on the tower of Katharinenkirche (Frankfurt’s main protestant church on the tourism site, click! 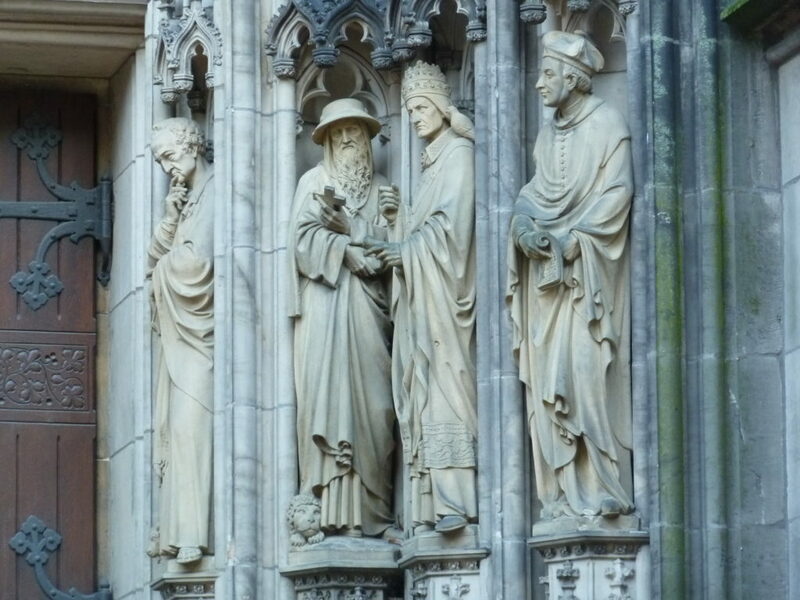 ), and even on the tower of Nikolaikirche (Old St. Nicolai’s Church –„…at one time in the church’s history [following the middle of the 15th century], a watchman resided in the church steeple. 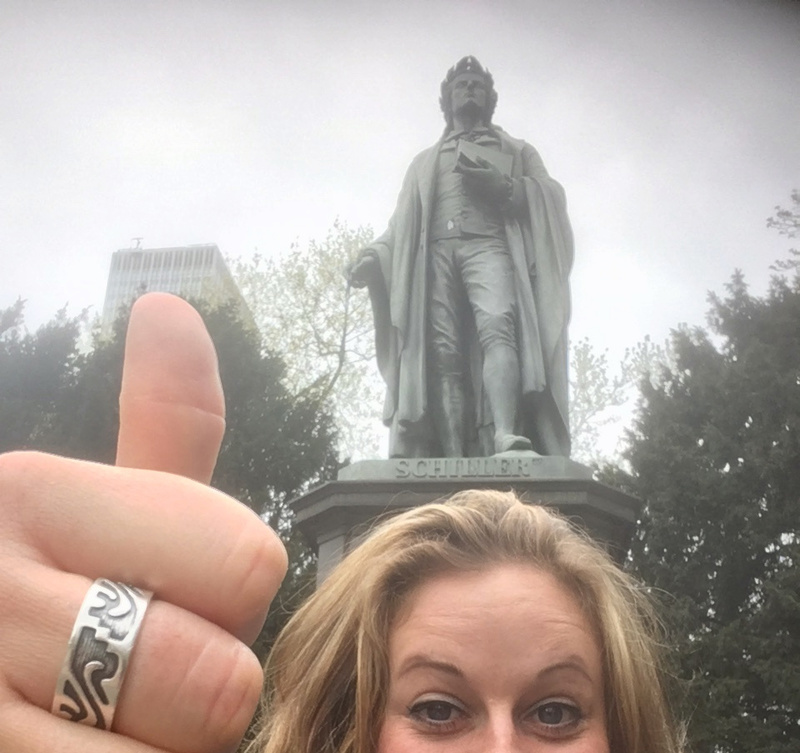 His job was to announce the arrival and departure of ships on the Main River…“ quoted from the homepage of the Paulsgemeinde, click!). 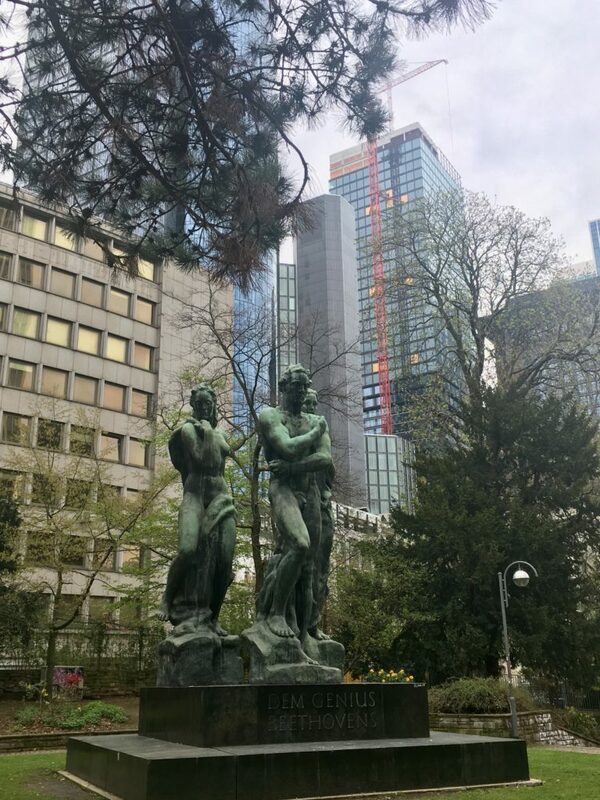 I’ll be back for MORE, Frankfurt-on-Main! Gued maakt, leiwe Täörnerske. Ik häf düftig wat läärd. 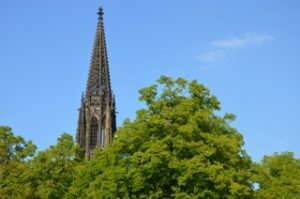 Mine Dochtersdochter läf in FFM. Of se üöweral dao al west is? Ik häf drbi so mine Twivels. Munter bliwen! Bes de Dage!